The Eleaf iWu cartridge boasts an innovative side-fill solution, which makes refill of a pod easier and faster than ever and is leakage-free. It is optimized for nicotine salts especially using the 1.3ohm coil contained within the pod. 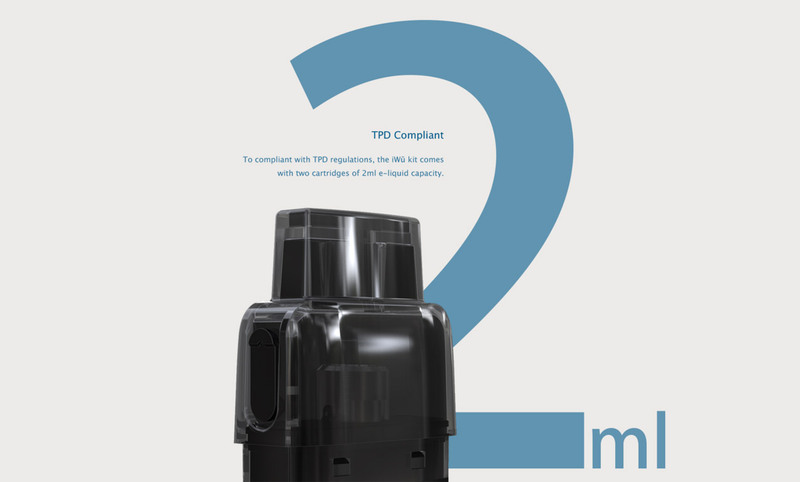 To compliant with TPD regulations, the iWu pod comes with an e-liquid capacity of 2ml.